Do you remember what you were doing when you were 25? Besides watching TV, that is? I was three years out of college, working a job that didn't provide me with anything more than an income, making plans that never came true for a life that turned out far more gratifying than I could have imagined. 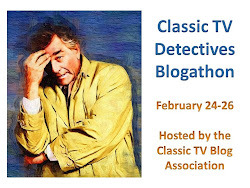 I suspect most of you have lived some variation on that theme. Now imagine you're Pat Boone, and you're 25. 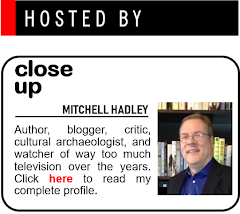 You're the host of one of the most successful television programs on ABC. You've sold nearly 21 million records, and you have long-term contracts for both TV and movies. You wrote a book, Twixt Twelve and Twenty, which has had a run of 350,000 copies. You own a company that not only handles your music business, it also has a branch that deals in merchandising your brand. You work 10 hours a day, five or six days a week, but by all accounts you love what you do. And on Sundays you teach Sunday School Your income in 1958 was nearly $1,000,000. Did I mention that you're only 25? This is where the rest of us deal with our inferiority complexes. 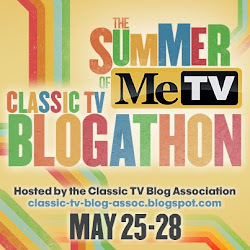 I've always admired the poise with which Pat Boone has handled his career; watching him on that ABC series, when he was the youngest individual ever to host his own variety show, he had every appearance of being an old pro, interacting with established stars not as a starry-eyed youngster, but as an equal. And yet it wasn't always this way, according to Pat himself. He'd dealt with stardom before, singing on the Arthur Godfrey show, but fronting a show of his own was different. "I felt I was responsible for a lot of people - people working for me and people looking at me. That made me nervous. And that made me stiff and awkward." The result was a show that "looked better in rehearsal than it did on the air," and he hated it. "Well, I decided this wouldn't do at all. It wasn't fun any more. I had to stop getting nervous. I'd force myself to spend 10 minutes before every show calming myself down. And gradually it began to work." It surprises me not at all that Boone could will himself to change this way. "Maybe that's why I don't worry much. I take my work seriously and I work hard at it - but I don't worry about it." I wish I could do that. But while he's not exactly worried about his future, he does know that when he moves West, to Hollywood, that things could go South as well, and the success that now seems preordained could dry up overnight. "I used to think that it would be foolish to plan a long career in show business," he says. "But now I don't know. They say that if you've been successful for four or five years you can look forward to being successful for a good many more." He does say that there are days that he could imagine a "20- or 30-year career in entertainment," and other times that he can envision himself teaching English in a high school in 25 years. Well, at last count, that career has lasted for 63 years. He's produced hit records, he's made hit movies. He's owned a professional basketball team. His daughter has made hit records. He's been a friend of presidents. 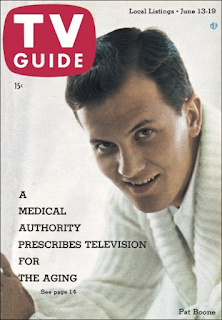 He's outlived most of the people who appear in the pages of this TV Guide. When asked about the future - entertainer or high school teacher - he says "Either way would suit me just fine." One can imagine that his long and successful career has, indeed, suited him just fine. In sports, twin events compete for this week's honors. On Saturday at 4:30 p.m. ET, CBS covers the last of the Triple Crown races, the Belmont Stakes, live from New York. Sword Dancer, ridden by the great Willie Shoemaker, but the win is overshadowed by a spectacular accident in the far turn at the head of the stretch involving Eddie Arcaro, another of the sport's greatest jockeys; Arcaro spends the night in the hospital but escapes serious injury, while the horse on which is riding, Black Hills, suffers a fractured shinbone and is destroyed. The other major event is the U.S. Open golf championship (or as it was frequently known, including in TV Guide, the National Open) from Winged Foot in Mamaroneck, suburban New York City. * According to the tradition of the time, the tournament culminated in "Open Saturday," in which 36 holes were played, 18 in the morning and 18 in the afternoon. However, this year tradition was to be upset; heavy rain in the morning (the same rain that created the sloppy track that claimed Black Hills) forced the final round to Sunday for the first time in the tournament's history. NBC was scheduled to carry the final three holes of the final round on Saturday at 4:30 p.m.; I suspect they were back on Sunday to see Billy Casper defeat Bob Rosburg by a single stroke. *Big week in the Big Apple, wouldn't you say? On Monday, ABC has a special 90 minute tour of Disneyland on its 4th anniversary, hosted by Walt himself with Art Linkletter. Among the attractions of the show are looks at the park's three new attractions: a 14-story-high replica of the Matterhorn, a fleet of eight submarines, each over 50 feet long, and the iconic monorail. Must have been an amazing thing for people to see then, when the future was able to amaze us. This is not from that show (it's in color, for one thing), but it gives you an idea of those new attractions, and what the park was like almost 60 years ago. 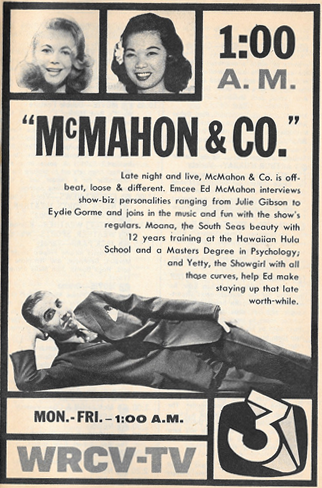 Also on Monday, there's this terrific ad for Ed McMahon's half-hour variety/interview show, McMahon & Co. which follows Jack Paar's Tonight on WRCV, the NBC affiliate in Philadelphia. One tends to forget that before Ed became Johnny Carson's sidekick, he was a local TV host in Philadelphia, and in fact he had a pretty high profile himself. This ad celebrates Ed's show expanding to a full 30 minutes, and reminds us that his lovely co-stars, Moona and Yelty, "help Ed make staying up that late worth-while." 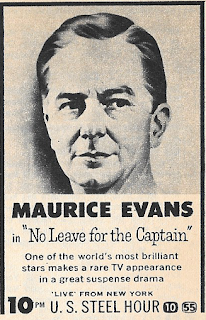 There's more to Evans than Shakespeare, though, as we see this week in his starring turn on The U.S. Steel Hour's "No Leave for the Captain" (10:00 p.m. Wednesday, CBS), in which he plays a perpetually drunk commander of a World War II British mine-disposal unit - a really bad combination, if you ask me. His co-star, playing his son and fellow officer, is Nicolas Coster*, whom I'll always remember from one of my mother's favorite soaps, Another World. (He also did a very funny turn on the late, lamented Police Squad.) Geraldine Brooks also stars in what looks to be a pretty strong story - not of war, but of men in a war. *Fun fact: Nicolas Coster's first wife was Candace Hilligoss, star of the cult classic Carnival of Souls. 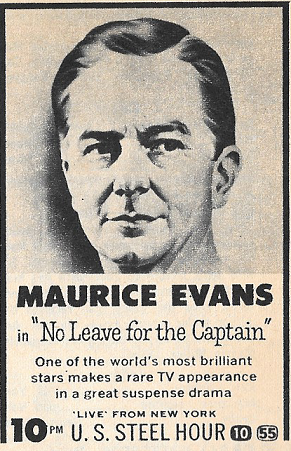 I don't want to leave the impression that Maurice Evans is little more than a highbrow actor, though. He'll go on to appear as Samantha's father in Bewitched, and as Dr. Zaius in the original movie version of Planet of the Apes. "If a girl has a good figure, should she hide it?" Says Dr. Brothers: "If a girl has a good figure it's almost impossible to hide it. My advice is this; A girl should wear her clothes just tight enough to show that she is a woman, and just loose enough to show that she is a lady." Pretty good advice, if you ask me. "My parents carp about the way I'm raising my grandchildren." "Grandparents are accustomed to exercising their authority over their child (you) through criticism. It gives them a sense of superiority, a chance to blow off steam. But you should use your own judgment in raising your children." "I suspect the woman next door is after my husband. She wears such scanty costumes." "What your neighbor wears is her business, not yours. 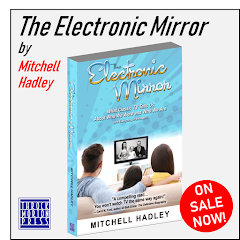 Take a look at yourself and make sure you haven't slipped a little since your marriage. Have you gained weight or become careless in your appearance? Have you stopped trying to be alluring? Don't put on a neighbor the blame that may be yours." "Does a woman drive a man to drink?" "A study made some years ago determined that there are definite types of women who are found to be the wives of alcoholics. [Women who choose weak husbands, women who need to be miserable, aggressive women with the need to punish herself.] But don't be a wife who is going to punish herself by making a drinker of her husband. Remember, an ounce of prevention is worth a couple of fifths of cure." By the way, if any of you happened to be in Philadelphia on Thursday, June 18, the great Fred Astaire will be at Gimbels to autograph copies of his new autobiography Steps in Time. We have that book - not autographed, alas. 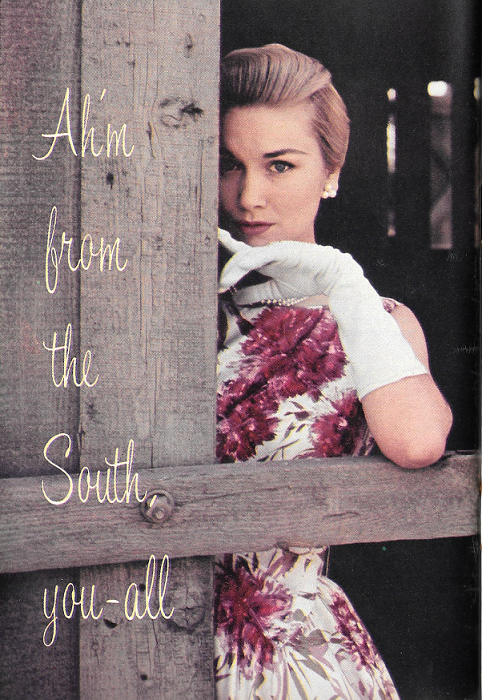 Finally, this week's starlet is Arlene Howell, Miss U.S.A. 1958, who was "discovered" by Roy Huggins' daughter Kathy, who'd overheard her father complaining about how hard it was to get an actress with a real Southern accent. She'd seen and heard Arlene at the Miss Universe contest (where she was third runner-up), and the rest is history - so let this be a lesson to you that you never know what doors will be opened to you once you've appeared on TV. She guested on Huggins' Maverick, as well as 77 Sunset Strip and Cheyenne, and this fall, at the age of 19, she'll be a regular on ABC's Bourbon Street Beat (Warner Brothers series all). Bourbon Street Beat ran for only one series, 1959-60, and beyond that Arlene Howell's record goes dry. IMDb gives her last credit as a 1966 appearance on Gomer Pyle, but other than a few guest gigs following the end of her series, nothing. Oh well. The article does mention that she's to be married to building contractor Paul LaCava Jr., so perhaps they lived happily ever after. There is more to life, after all, than television. 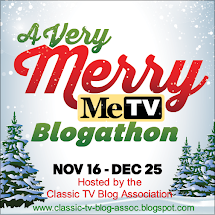 As Cindy Lou Brown, Arlene Howell was another of the wonderful recurring characters encountered by the Maverick brothers during the first two (Roy Huggins produced) seasons. She guest starred on consecutive episodes at one point, one being the legendary "Shady Deal at Sunny Acres" (and as a different character, "Island in the Swamp", set in Howell's native Louisiana, the following week). Two things I will always think of when I think of Pat Boone: the wonderfully weird NIGHT GALLERY episode "The Academy", in which Boone played perhaps the worst father ever, and the wonderful, bizarre 1997 CD "In a Metal Mood", with Boone giving us big-band arrangements of heavy-metal classics. Hey, how about another quiz? I'm working from a Chicago edition on Central Time, so you'll have to adjust for Philadelphia's Eastern Time. I'll name the time, the network, and the show. You find them, and tell me what the listing says to you. 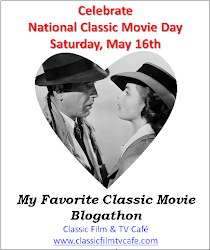 Sunday, 6:30, CBS: Jack Benny. Sunday, 8:00, NBC: The Chevy Show. 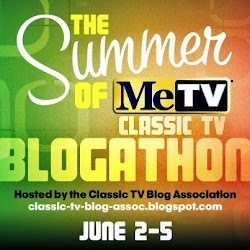 Monday, 8:00, CBS: Danny Thomas. Tuesday, 8:00, CBS: Peck's Bad Girl. These two are linked; see if you can spot how. 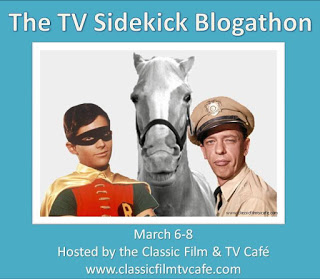 Tuesday, 8:30, CBS: Red Skelton. Thursday, 7:30, ABC: The Real McCoys. Friday, 9:00, CBS: The Lineup. That ought to hold you for now. 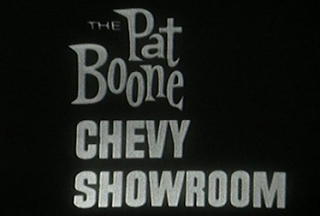 What I remember about Pat Boone is that he got actor Jeff Corey off the Blacklist. Boone had been taking acting classes at Corey's school (actually, it was his garage). At the same time, Boone was making a movie called The Yellow Canary, and saw a part that he thought Corey was right for. Being The Star, he used a lot of pull with his studio, 20th Century Fox, to bypass protocol and hire Corey, the List notwithstanding. Years afterward, Jeff Corey, whose politics were as far to the Left as Boone's were to the Right, was asked about this; he laughed and said, "Oh, Pat and I like each other." At some point, Nicolas Coster turned up on just about every dramatic TV show, day or night. I remember when he joined All My Children, short term, as a "handsome stranger" who romanced Erica Kane (Susan Lucci); he turned out to be a hired killer who was out to get Erica, but was stopped just in time. In the color section, you seemed to have missed the feature on how jazz was starting to assert its presence as part of TV dramatic scores, with testimony by Henry Mancini, Stanley Wilson, and Jack Webb. 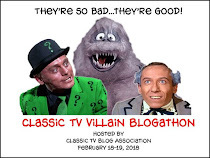 It was in the mid-60s that Maurice Evans made his major move into Hollywood TV, playing "Basil Of The Jungle" on Tarzan; this was just after he began appearing on Bewitched. This was followed by guest shots on Batman (as The Puzzler), The Man From UNCLE (in which he appeared alongside Ann Elder *hi there, David Hofstede*), Mod Squad, and several Quinn Martin shows, where we learned that 'Maurice' is supposed to be pronounced 'Morris'. Merv Griffin once asked Mr. Evans whether he answered to 'Maureese' or 'Morris'; he replied with a smile: "On the set, they usually call me 'Moishe"!" 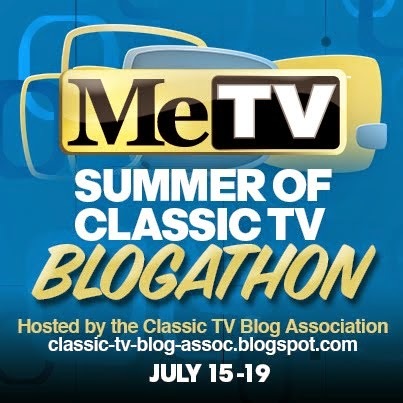 I suspect that since videotape had been perfected by 1959 that Ed McMahon's local show in Philadelphia had been taped ahead of time. On the other hand, since I thought McMahon was already working with Johnny Carson (on "Who Do You trust?") in New York, that he might have commuted two hours each way from Philly to New York. If "Trust" were being done live in the afternoon, then his own local Philadelphia show might have been taped earlier in the evening for showing at 1 A.M. I just checked in my copy of Ed's book When Television Was Young - about Who Do You Trust?, he says that the show was live Tuesday through Friday, and on Friday they did two shows, taping one for use on Monday. And for McMahon & Co., he writes that "A lot of stage plays opened in Philly on the way to Broadway, and by the time my show went on the air, those performances were done for the night," which suggests that his show was done live as well. As I recall, he took the train into New York to do Who Do You Trust? and then took the train back for McMahon & Co. What a schedule! TV Jibe: Love that Ultra HD!